Recently, I sat near the futurist Nat Irvin III when this question was posed: What would a compassionate city look like? What Nat said struck a chord with me. He said, in essence, that a city deeply committed to compassion would look differently, would flow differently, would sound differently and would even smell differently. Do you see it? Louisville is the center-point of a global compassion reawakening. If you look at our ancient history, this makes sense. We are a people of the Falls of the Ohio. Because this feature was carved out of this landscape millions of years ago, all forms of sentient beings have been gathering here since. Some have even maintained that our region could be considered an American Holy Land with the number of nearby sacred sites and places of religious and spiritual practice. We live on sacred land by a sacred river. How many cities have a city square and a historic marker named for a mystical revelation? Louisville does: Thomas Merton Square. In 1958, the trappist monk, Thomas Merton, had his Louisville epiphany on what is now Fourth and Muhammad Ali Boulevard. There, Merton saw the people of downtown Louisville "walking around shining like the sun." Having a vision like this outside of nature was rare, if not unprecedented. Fourth Street was the center of the shopping district when Merton had his revelation. Was this purely an accident? You can decide for yourself. Merton's mystical vision took place on Fourth Street in the Fourth District of Louisville on what is now Fourth Street Live. Another giant of 20th-century thought, the psychologist Carl Jung, believed that the critical movement of the 20th century was the growth of human consciousness from divisive competition and egocentric striving to a wholeness brought about by contemplation, compassion and community and represented symbolically by the number 4. Perhaps Merton's Fourth Street vision, was a glimpse into the future? Did Merton see in the hearts of a compassionate community on that day? A city that looked, flowed, sounded and even smelled differently? Merton said, "[i]f only we could see each other that way all the time. There would be no more war, no more hatred, no more cruelty, no more greed. ..."
Against this deep and mysterious backdrop, on 11-11-11, Louisville became the seventh city worldwide to set its intention on becoming compassionate. It has been said that we call ourselves a compassionate city so we may one day become a compassionate city. Compassionate Louisville has assisted other cities in joining in this commitment. Before and since then, Mayor Greg Fischer has spoken of compassion on a daily basis. Locally, he has practiced what he preaches by leading a massive volunteer week called the Mayor's Give a Day week of service. In 2014, the effort produced over 144,000 acts of compassion. Nationally, Mayor Fischer has introduced resolutions at the Conference of Mayors to study compassion and to make this abstract concept a real and concrete part of daily life for the citizens of our community. The modern work of compassion is anything but mystical. It is supported by hard science as the practices of compassion are now measured and evaluated, and Louisville is connecting with the best and brightest minds doing this work. Our work in Louisville has been recognized: the city named the Most Livable Large City in 2012 by the Conference of Mayors. We were recognized as the Model Compassionate City by the Charter for Compassion in 2012 and in 2013 when his Holiness the Dalai Lama spoke about a compassionate city at the Yum! Center. 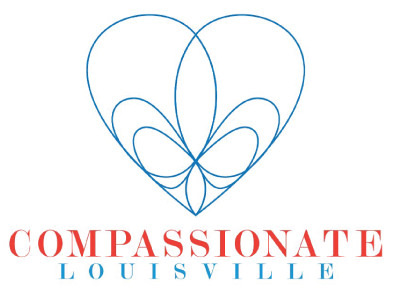 Compassionate Louisville has assisted over 30 other cities, large and small, in joining in this commitment to compassion. Compassionate Louisville is well on its way to having 100 schools and 100 organizations that have made a formal commitment to compassion. What we call "constellations" of compassion are growing in health care, business, schools, seniors, earth and the arts. Monthly town hall meetings are held at different venues around town. This month's meeting was held at the Louisville Central Community Center, where the newest Compassion Laureate, Sam Watkins, shared their vision for that community in the Boulevard West of Ninth. www.westofninth.org. This vision is driven by their desire to create and support a vibrant west Louisville that creates jobs and economic opportunities. Compassion, quite simply, is for everyone. We have learned that there are as many different faces for compassion as there are citizens. Compassion only grows if we give it away. Lady Compassion, as we call her, is welcoming and inclusive and wants all of us to know her. 3. Join us. Sunday at the Ali Center from 1 to 5 p.m. there is a free celebration of the Global Game Changers. Kids ages 5 to 10 will discover their superpower and learn how they can give back and make a difference. www.globalgamechnagers.org. Next month you can play the compassion games. 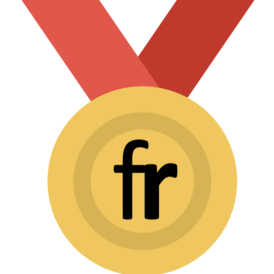 Upon Mayor Fischer's challenge, cities around the globe are now in friendly "co-opetition" in the compassion games. From Sept. 11 to Sept. 21, you can become a secret agent of compassion or participate in one of the other fun activities in this contest to do good deeds. www.compassiongames.org. 4. Finally, become a compassionate organization or just hang out at a town hall meeting. www.compassionlouisville.org. We need everyone to see a compassionate community and to build a compassionate city. So come and join us. All are welcome. 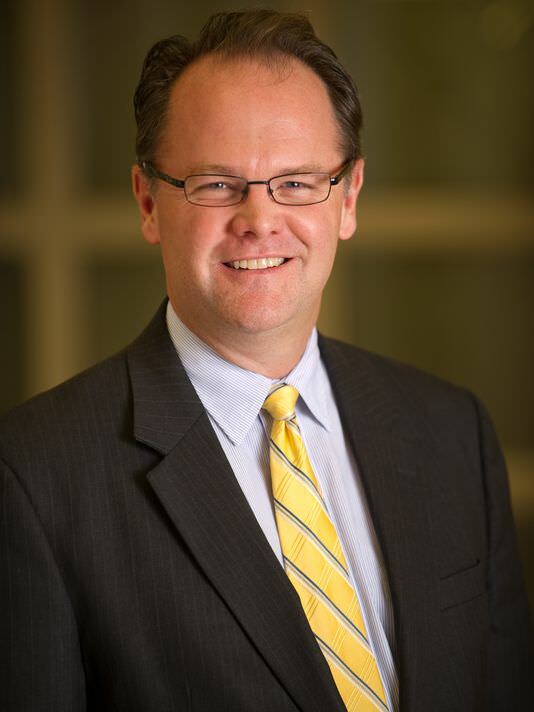 Tom Williams, a Louisville attorney, is co-host for Compassionate Louisville.